Like all our clubhouse-based systems there is enormous flexibility in the choice of configurations and accessories. You can choose from our fantastic range of accessories to get exactly the playground you want. See how our modular design system works to combine different elements together. But we can do more: as we manufacture all this equipment ourselves we have tremendous flexibility to build a bespoke construction to your specifications. Our skilled designers and craftsmen are experienced in creating one-off designs. We use top quality timber with lovely smooth faces and rounded edges and all timber is safely pressure treated for maximum life. For more details please click here for the Jungle Clubhouse specifications. 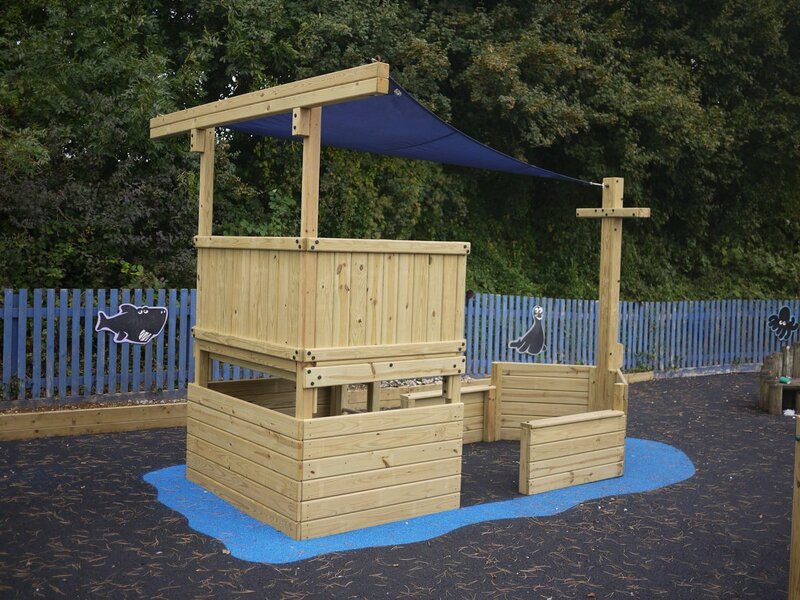 With posts from 90mm x 90mm, deck planks and joists from 45mm x 130mm timber and walls from 24mm x 130mm planks on 45mm x 90mm rails it is as safe, sturdy and built to last as all our play equipment. So why not customise your own system, or look at our gallery for playground inspiration.